Dr. David Wilkinson brings to Novis Consulting over 30 years experience in laboratory management, pathologist service contracting, and medical education. Dr. Wilkinson served as Director of Clinical Pathology, Hospital Medical Director, and Secretary of the University Health Plan at The George Washington University Hospital, Washington, DC. Subsequently, Virginia Commonwealth University (VCU), Richmond, VA recruited him to be Chairman of the Department of Pathology. Under Dr. Wilkinson’s leadership, VCU was among the first of America’s healthcare institutions to create a molecular diagnostics clinical laboratory, research facility and fellowship program, and was among the first to create a clinical next generation sequencing laboratory. At VCU, Dr. Wilkinson also chaired the Managed Care and Contracting Committee, directing teams that developed insurance reimbursement models for pathologists, averted outsourcing of pathology services, and increased pathologist revenues significantly. 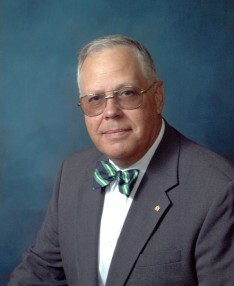 Dr. Wilkinson received his doctorate from the University of Wisconsin and his medical degree from University of Miami. He is Past President of the Association of Pathology Chairs, a former Trustee of the Richmond Academy of Medicine, a member of the AMA’s CPT Advisory Committee, and Former Chair of the Pathology Coding Caucus. He currently serves on the College of American Pathologists’ Economic Affairs Committee. Dr. Wilkinson edited the classic texts, Management in Laboratory Medicine and Clinical Laboratory Management. This entry was posted in Associates on June 3, 2014 by David Novis.